Category: Almond Churchkhela, Almond Whole Wheat Red churchkhela, Coconut Churchkhela, Hazelnut Churchkhela, Hazelnut Red Churchkhela, Red Almond Whole Wheat flour Churchkhela, Red Hazelnut Whole Wheat Churchkhela, Red Hazelnut Whole Wheat flour Churchkhela, Red Walnut Whole Wheat Churchkhela, Walnut Churchkhela. Tags: walnut churchxela. 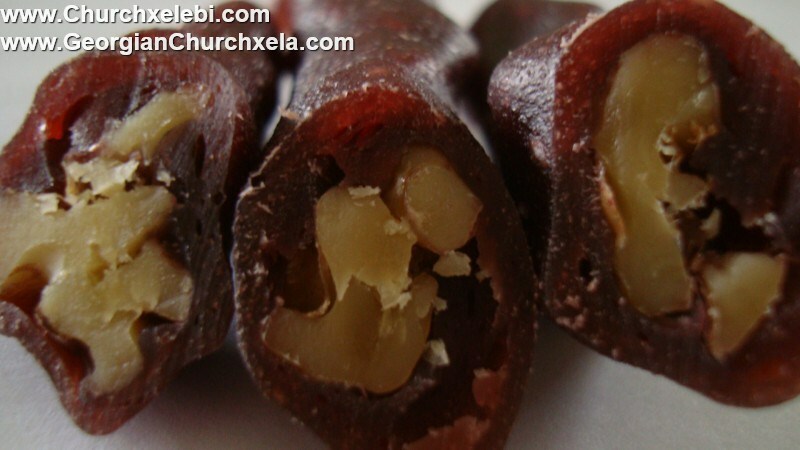 Grape juice and nuts are the main ingredients of Churchkhela. 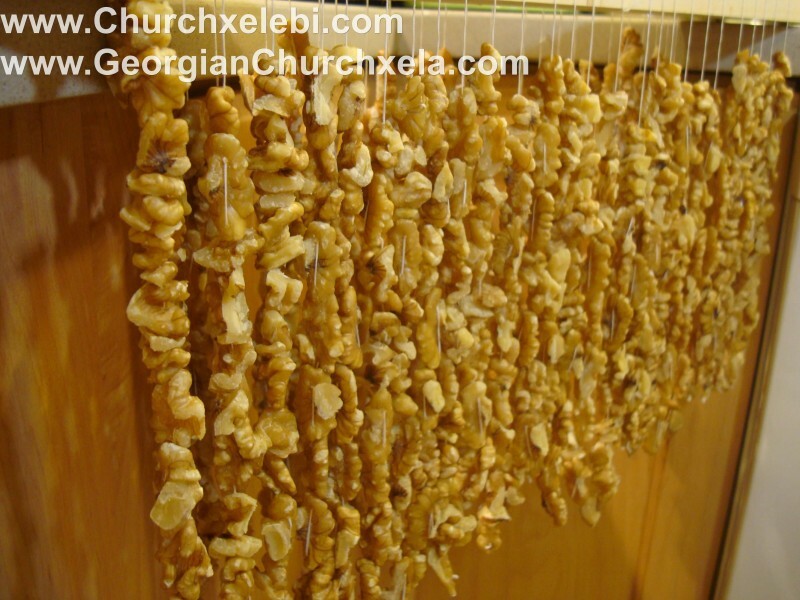 It is a string of walnut halves that have been dipped in grape juice called Tataraor Phelamushi (grape juice thickened with flour), and dried. Instead of walnuts sometimes Hazelnuts, Raisins, or almonds are used for making the Churchkhela.The shape of product looks like a candle, it is rich with good carbohydrate, protein and fiber. It is made with 100% natural ingredients. 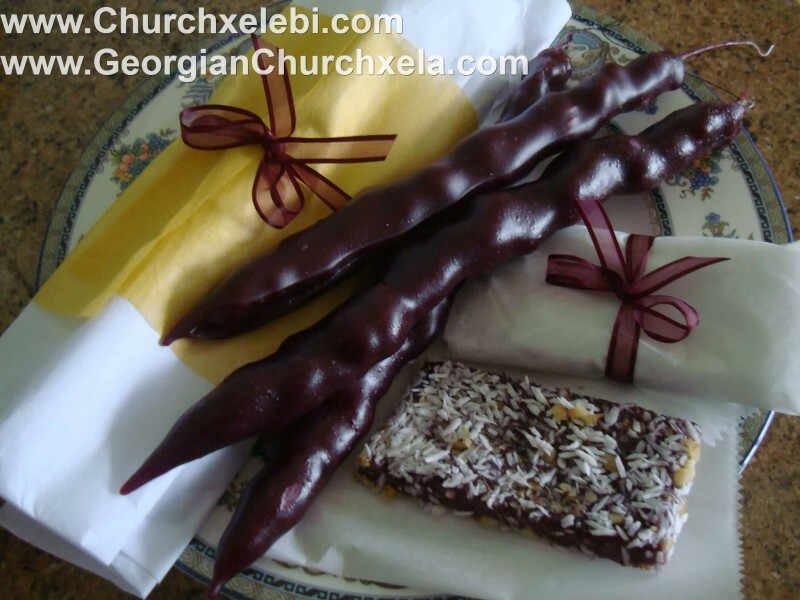 I ordered some Churchxela for a Georgian Event and it was awsome. 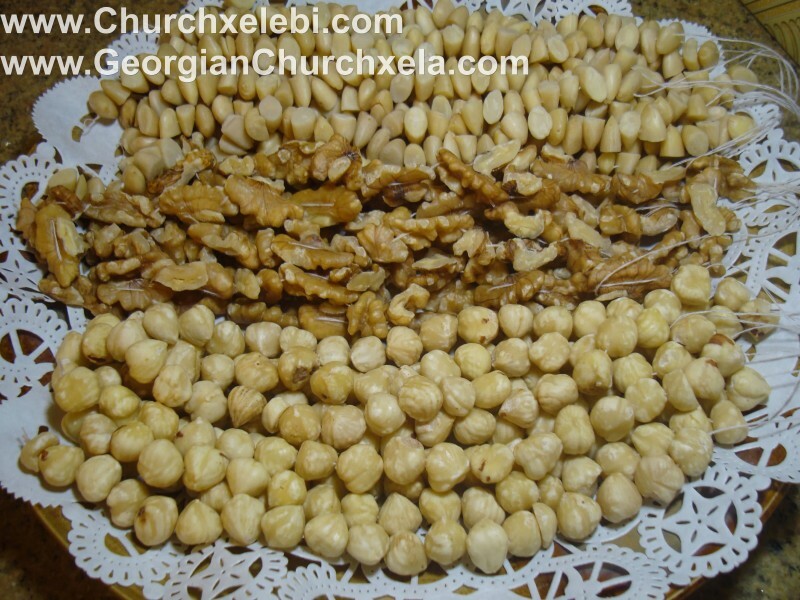 I would say that it is very high quality Churckxela, it tastes exactly like, (or may be even better than ) Churchxela that you would get in Georgia. Thank you very much!